United Kingdom, commonly known as the UK is a promising land for skilled professionals and it offers enormous opportunities across all occupations. With a robust economy and booming industrial sector, it’s nowhere surprising that the UK has become the most sought-after destination for skilled professionals. Whether you wish to work abroad or set up a business abroad, the country offers many pathways for potential aspirants to enter the country. Amongst many UK immigration visa options, Tier-2 visa is the best pathway for interested candidates to enter the nation. 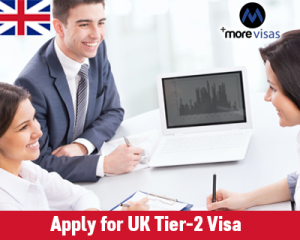 Tier-2 Visa is designed for skilled workers who do not have a job offer from an employer but also hold a sponsorship license. In order to apply for UK immigration visa, applicants must be an outsider, not belonging to European Economic Area (EEA). The work in which you are employed in the country must be related to the work of your sponsor firm. Applicants can enter the country 14 days before the start of certificate of sponsorship. Candidates can also apply for visa extension for five years provided, they satisfy certain criteria. Interested candidates can file an application for Tier-2 Visa and can enjoy the benefits of the work culture.